A few weeks ago, I found a pirate I had never heard before: Grizzly Bear Radio. They quickly nullified my claim that Radio Appalachia was the only pirate I knew of that broadcasts bluegrass music. According to Grizzly Bear, they transmit from the northwest US, so the fact that I hear them at all speaks of good propagation and Grizzly Bear's antennas. At any rate, I did manage to capture almost their entire broadcast--nearly 5 hours!--on October 6th. Unlike many of my recordings, this one is faint at times and you'll have to listen through the static. 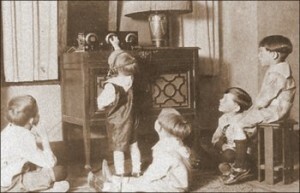 Still, this is what I enjoy about pirate radio, hearing some unique audio through the static. As grandpa used to say, this "builds listening skills."